sTARTUp Day and TechChill has for sure warmed up the tech event season in the Baltics and what crazy months still ahead of us! In our previous blog post “Mental health and self-management at the core of this years TechChill” you can read our takeaways from the keynote speakers at TechChill, but we have more to share. And this time — from startups perspective: what was the new expo concept at TechChill and how to gain visibility, why participate at pitch battles and how to make the most of after-parties and side-events. 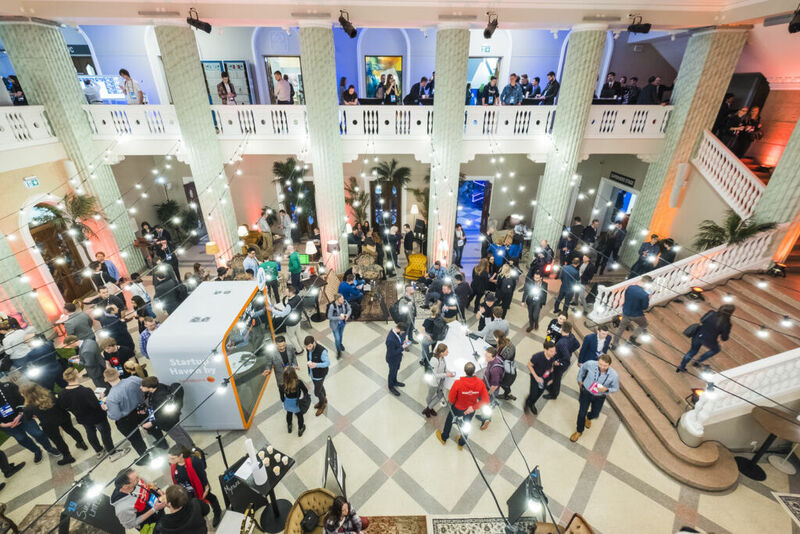 For the first time TechChill organized Startup Lounge — the center of the event venue was dedicated to hand-picked startups, suggested by ecosystem partners. Don’t let the comfy sofas and laid back atmosphere misguide you, they were at the spotlight of attention, making scheduling meetings easier, but also getting more organic reach, i.e., interest from investors, potential clients, as well as passersby. Our Batch 10 alumni Joosep Sild, CEO at SmartVent, was amazed by the visibility gained from the Startup Lounge and its effect also on the matchmaking app. Being among the selected startups meant natural interest from people that maybe otherwise would be harder to access. And even though they had to guard their spot like a castle from tired attendees that wanted to grab a seat, TechChill opened new doors for them. If Startup Lounge access was strictly invitation-only, then TechChill “50 Founders Battle” was the open way for any startup to get on the stage at the prime-time, of course subject to being the best at telling their story. 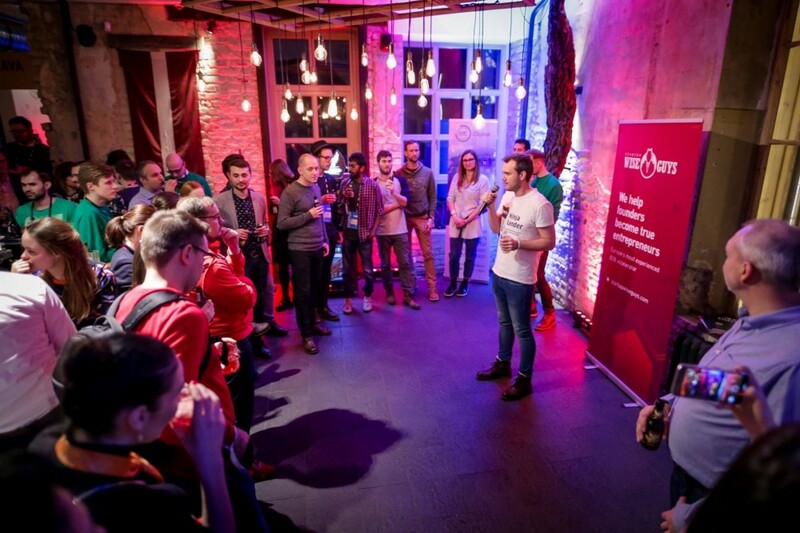 While almost every tech event runs a startup competition, you might ask — ok, so what’s in it? In some cases it is the prize, in others it is the free ticket that you get along with getting into finals, but mostly it is a push to perfect your pitch and get more attention from your target audience (be it investors, customers, partners or potential employees) than you simply being a person from the crowd. This year more than 200 applications came in and 50 teams in 5 verticals were selected to participate for the main prize. Shout out to 14 of our alumni, who were on this list: Partly, Ninja Lender, Consorto, Expact, Orocon, Razzby, Ziticity, Zirity, Drone Pilot, Polisensio, Squad Robotics, NeoSound, Precision Navigation Systems aka HIVE & Castprint! This already made us really proud, but the story doesn’t end there! 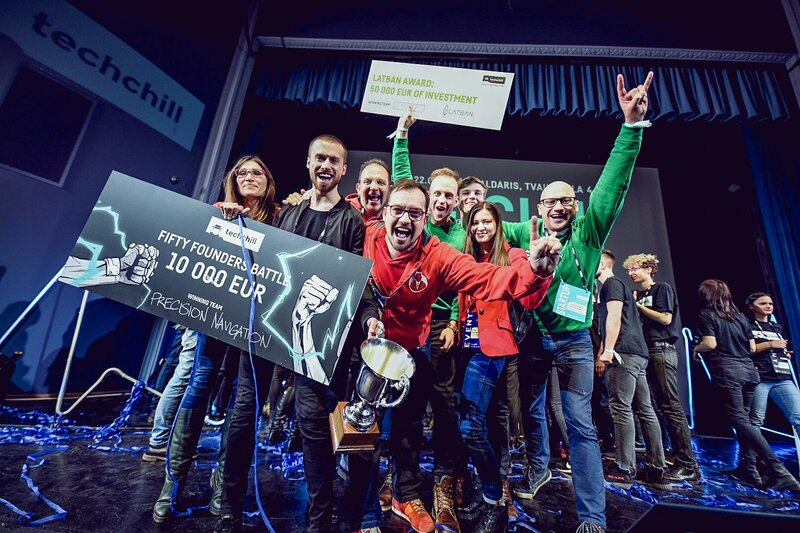 Two of our alumni got into the finals and as you might judge from the quote above Ziticity was among the winners getting a soft commitment of 50K EUR investment from a syndicate of 22 Business angels, whereas Precision Navigation Systems aka HIVE took home the main prize at “50 Founders Battle”! So, if you are convinced that such competitions make sense, take a look and apply for upcoming pitch battles at Latitude59, Emerge and Startup Fair. What else is there? The legendary after-parties, but even more so — many valuable side-events. It has become a tradition for SWG to organize networking drinks and top tech events around the Baltics (next coming up at Latitdue59) and our startups always say that it is the perfect moment to take the formal business contacts gained during the conference to a more relaxed environment. And actually, we’ve heard the same from investors! Besides, apart from scheduling a chat by the beer, you can also just go with the flow, as you never know whom you might run into. Apart from probably the best mix of speakers, founders and investors, we were honored to have even the ex-president of Estonia casually visiting our TechChill drinks organised together with EIT Digital. Another side event gathering an awesome crowd was the Demo Day of our second Fintech batch run in collaboration with Swedbank. We see great value organising our batch finale at events like TechChill and judging from the mur-mur in the crowd and quality networking, also this format works well. It’s a humble comment from a pitch battle winner and a successful alumni of the top accelerator in the region, but it also proves the boutique event concept that all Baltic tech conferences seem to be following. We could even say that “small is the new big”. While SLUSH and Websummit of course are epic events, it is at these 2000 attendee events where you can still feel cozy and randomly stumble into almost every person you should meet. See you soon at the next event and keep an eye on our website or subscribe to our newsletter to see where our team and startups are planning to be.